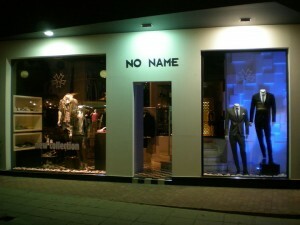 The shop operates since 1997 on Nikodimou Mylonas Street which is one of the most popular shopping streets in Paphos. It occupies 70sq.meters with three dressing rooms and 10sq.meters of storage space. It has been displaying constantly the latest trends and styles for more than a decade, making a substantial presence of NO NAME in Paphos. The shop belongs to N.A.M.E. Ltd and runs with maximum two employees.